Selling a home is almost never an easy process, especially for seniors who may also be in the process of downsizing. Selling a home is almost never an easy process, especially for seniors who may also be in the process of downsizing. However, with the right help and legal assistance along the way, you can ensure that this process is a seamless transition that will put you in the perfect home for this next chapter of your life. If you are a senior in the earliest stages of selling your home in 2019, consider these helpful tips. While your friends and family may offer you advice for selling your home, nothing beats the experience of professional legal and financial assistance. 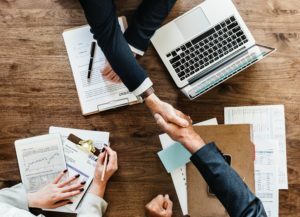 Much like finding the right real estate agent that you trust, it is crucial to work with legal and financial professionals who understand your unique needs as a senior looking to sell their home. This first step will point you in the right direction for making the right financial and legal decisions with your next move. By removing excess belongings from your home, you will not only be organizing yourself for your next move, but you will also be able to showcase the best of your house. With a clean house containing minimal personal belongings, potential buyers will be able to see all that your home has to offer. This step will also help to make your next move more manageable in the future. In working with a professional moving service, you can spare yourself from the stress of packing and moving heavy boxes on your own. Moving can be especially challenging as we age, so it is best to leave the task of moving to the professionals who can finish the job quickly and efficiently. Hiring professional movers will also allow you to focus on other essential tasks surrounding your move, such as managing your finances and securing any necessary legal documents. Although several factors may determine who you choose to work with as your real estate agent, it is best to select an agent that has experience in working with senior homebuyers and sellers. This specific type of insight will benefit you in the process of selling your home by providing you with accurate advice and resources for the step of selling your home in the new year. If you are looking to sell your home in 2019, trust Jack Cooper Law for affordable, professional, and accurate legal and real estate assistance. Let our excellent team of experienced Maryland real estate attorneys provide you with expert counsel and information. In working with Jack Cooper Law, you will have access to our excellent industry contacts, from trusted and reliable lenders to home inspectors, contractors, and service providers throughout your selling process. No matter where you are located in Maryland, our team is ready to work with you! Call us at 410-465-5822!